Spend a pleasurable afternoon in the kitchen with Stephanie Bosch creating a stunning spread of plant-based dishes that will taste as good as they look. This hands-on class will make mushroom-lentil faux gras with walnuts and a beet root purée served with sourdough toasts, rich tomato bisque with spiced chickpea croutons, mushroom bourguignon with sweet potato mash, coconut creamed greens with toasted shallots, plus raspberry-elderflower French macarons. 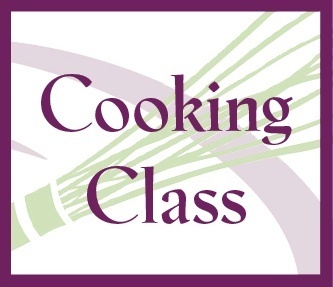 Available vegan classes include Vegan Breakfast - The Yolks on Us on April 22, and The Vegan Baker on May 2.